But the evidence released through a court challenge launched by four environmental groups revealed that someone in the federal government made a decision to approve the drilling activity, concluding it didn’t require special permits under federal endangered species legislation, without seeking scientific advice from a top federal expert on the beluga whales. Justice Claudine Roy’s Sept. 23 decision, which temporarily stopped the exploratory work – shortly after it began – said a regional beluga expert from the Department of Fisheries and Oceans, Dr. Véronique Lesage, appeared to agree with warnings that the drilling would harm the whales. The ruling temporarily reverses the Quebec government’s decision to authorize the work in Cacouna, several hundred kilometres northeast of Quebec City on the St. Lawrence River, until Oct. 15. The internal documents from the fisheries department show that federal scientists have been raising concerns for months, not only about the exploratory work, but also of the proposed oil terminal itself that would service 250-metre long supertankers shipping western Canadian crude overseas. “The terminal construction project will take place in the critical habitat of the St. Lawrence beluga, a declining species at risk, and will include work that will require very noisy activities (boring and blasting) over extended, multi-year periods that are likely to interfere with the normal activities of the beluga and other marine mammals that use the area,” said the department’s scientific review from May, authored by Dr. Lesage. The review assessed potential impacts from seismic testing, but not the more recent drilling activity that was underway up until the injunction. 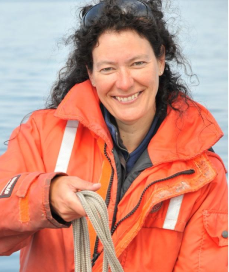 Photo from Department of Fisheries and Oceans website of Dr. Véronique Lesage. Justice Roy concluded that the provincial government never received credible evidence from the federal department that the drilling work could proceed without harming the species in the St. Lawrence region. Biologists estimate that beluga in the area have declined by about 15 per cent since the year 2000 and now have a population of about 1,000. Justice Roy also noted in her ruling that TransCanada had “refused” to sign a commitment stating that the work wouldn’t harm the belugas. The environmental groups are seeking a permanent injunction to allow for full environmental hearings. The Quebec and federal governments, along with TransCanada, have publicly argued that the work is safe and should proceed. TransCanada said in a statement that it was reviewing the court decision, noting that it had obtained all of the government approvals necessary to begin its work and was taking precautions to protect the beluga population. The documents from the court challenge show that over the summer, the provincial government had asked the federal government and TransCanada for a scientific review of the impacts of the drilling, but instead received a copy of earlier federal research from May 2014 reviewing the seismic testing. That review expressed concerns about the seismic testing, but concluded that it could proceed under strict conditions, including that it should stop after April 30, when the region becomes a calving zone for the species. There was no evidence of separate federal research on impacts of the drilling work prior to authorization of that work during the critical calving season. Transport Canada also gave a green light for the company to begin its work under navigation protection legislation. A whale biologist and an expert witness for the four environmental groups, Robert Michaud, has warned that this drilling work is potentially more harmful to the species than the seismic testing. The court ruling alleged that the federal scientist agreed. The evidence from the court challenge was based on the federal scientist’s conversations with a biologist from the provincial environment department, Anne-Marie Jean, who told lawyers that she also had concerns about authorizing the drilling work. Dr. Lesage wasn’t available for an interview, the federal department said. When asked if she was being muzzled, it said in a statement on Sept. 24 that it couldn’t reach her because she was “working in the field,” adding that it would follow up with her as soon as it could speak to her. Ms. Jean from the provincial environment department, said that the federal scientist had expressed concerns about her warnings being made public. “Ms. Lesage asked her a few times to keep their conversations confidential.” – Ruling from Justice Claudine Roy on Sept. 23, 2014. Earlier in September, Conservative MPs rejected a request from the NDP to summon federal scientists and other experts to parliamentary hearings to answer questions about the scientific review of TransCanada’s proposal. In response to questions from the opposition Liberals and New Democrats about the court injunction, federal Fisheries and Oceans Minister Gail Shea (Egmont, PEI) defended her department. The proposed Energy East pipeline is being billed as one of the most sophisticated and ambitious energy infrastructure projects on the continent. Running from Alberta to Atlantic Canada, the 4,600 kilometres pipeline would carry about 1.1 million barrels of oil per day along its route, using some new infrastructure as well as refurbished sections of an existing natural gas line. Energy East is among several major North American infrastructure projects proposed to help Canada’s oilsands producers get access to more customers. Officials from industry and government have both warned that they are facing a bottleneck in their existing pipeline infrastructure that could slow down expansion in production in the oilsands if these projects fail to proceed. Environmental groups have countered with campaigns warning that the pipelines should be stopped since they discourage economic growth and support rising carbon pollution from the oilsands, the fastest growing source of greenhouse gases in Canada. DFO authorized the drilling work for the Energy East oil terminal in a May 21 letter that said no permits would be required under existing laws protecting fish and endangered species, despite activities that would include drilling 16 wells with two drilling barges within range of the belugas. In its conditions, the department has asked TransCanada and the engineering firm it hired – CIMA+ – to monitor the water carefully to ensure that there are no whales within 500 metres of any sources of noise. Mr. Michaud – who is the scientific director of GREMM, the Groupe de recherche et d’éducation sur les mammifères marins – a non-profit Quebec research organization that studies marine mammals – said he believes the conditions recommended by the federal department were adequate for the seismic testing. He said the noise could harm the beluga whales, which are known to avoid noisy areas, but would only be intermittent sounds of short duration. He also suggested that the drilling work should have had the same conditions, including the restrictions after April 30. He said that federal scientists would have likely made this recommendation also, had they been asked to review the proposal. He explained it would be better to allow the work after October in the fall or before April in the spring. Mr. Michaud noted that scientists from the federal department, including Ms. Lesage, made similar warnings about the need to protect the beluga between the spring and the fall as part of a 2007 review of a methane port construction project in Cacouna, also proposed by TransCanada in partnership with Petro-Canada, that was later abandoned. The documents tabled as part of the court case also show that another senior biologist from DFO, specializing in species at risk, had warned a biologist from the engineering firm hired by TransCanada, that the department was concerned about noise from the drilling work. The federal review of the seismic testing also highlighted some other gaps in the scientific evidence, including the fact that federal scientists never completed some modelling work related to impacts on beluga populations due to a tight deadline, and that they were forced to estimate some details related to sound levels from the exploratory work because TransCanada failed to provide the information. While the department declined to answer a question about who set its tight deadline for reviewing the project and why, the court ruling criticized the overall review. 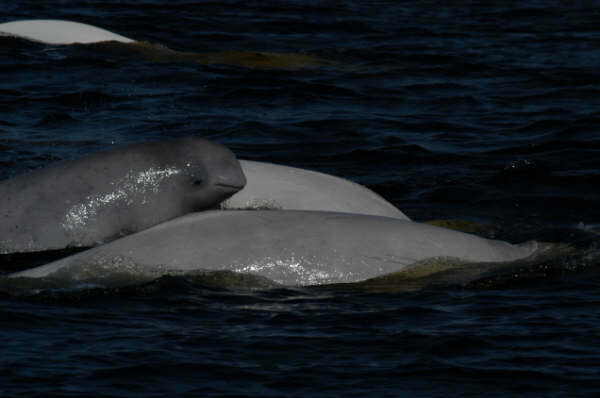 TransCanada said in a blog post, after obtaining provincial permission to proceed with its drilling work in August, that it was implementing “specific measures to protect the beluga population,” including a protection zone for the mammals around its equipment, as well as visual monitoring for the beluga by experienced observers. It said at the time that it didn’t have to take these measures but wanted to take responsibility for its actions and mitigate any environmental impacts. Justice Roy also said that Dr. Lesage had raised concerns about the credibility of one of TransCanada’s marine mammal experts. Dr. Lesage had told the Quebec government scientist that the industry expert knew about marine mammals in the Arctic, but didn’t necessarily have expertise on the specifics of the St. Lawrence population of beluga whales, said the court ruling. Dr. Lesage also warned the Quebec government scientist that the TransCanada expert was “pro-developer” and would sometimes make points without any basis, Justice Roy wrote in her ruling, which cautioned that it hadn’t heard from Dr. Lesage, nor the expert from TransCanada and wasn’t able to verify these details. Federal scientists, in their review, also noted that there was inadequate baseline data about the behaviour of the Beluga in the region, and that this information would be needed prior to construction of any terminal. The federal department declined to answer a question about how it responded to this recommendation, but said that it was monitoring whales during the work by TransCanada. This entry was posted in muzzling, oil and gas, pipelines, Science and tagged belugas, climate change, Department of Fisheries and Oceans, endangered, Energy East, Gail Shea, Justice Claudine Roy, muzzled, muzzling, oilsands, pipeline, Quebec, Robert Michaud, Species at Risk, St. Lawrence, Stéphane Dion, supertankers, tarsands, threatened, TransCanada, Transport Canada, Véronique Lesage by Mike De Souza. Bookmark the permalink.